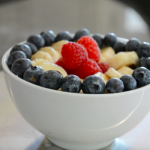 Below is a recipe for a very simple Two-Minute Oatmeal Bowl. Be warned, it’s pretty addictive. To view the preparation of this recipe, watch this episode of The Beantown Kitchen Cooking Show. 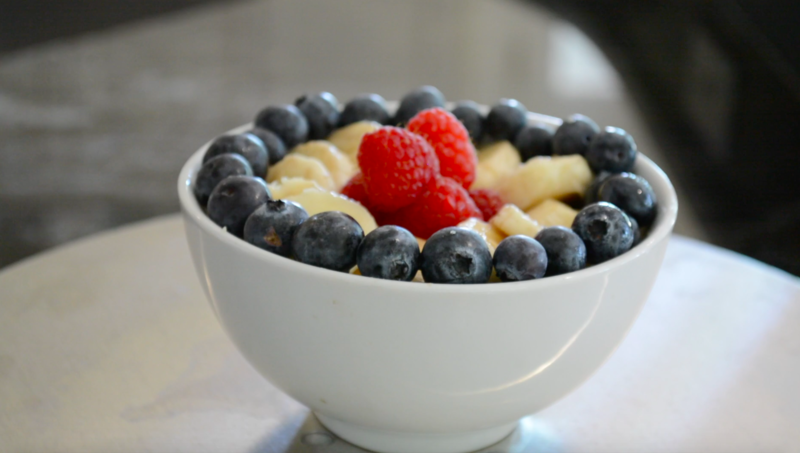 This Oatmeal Bowl is very fast and easy to prepare. It is a wonderful, heart healthy, low-fat, plant-based breakfast. In a cereal bowl, mix together the oats, ground flax seed and cinnamon. Add the non-dairy milk and stir to combine. 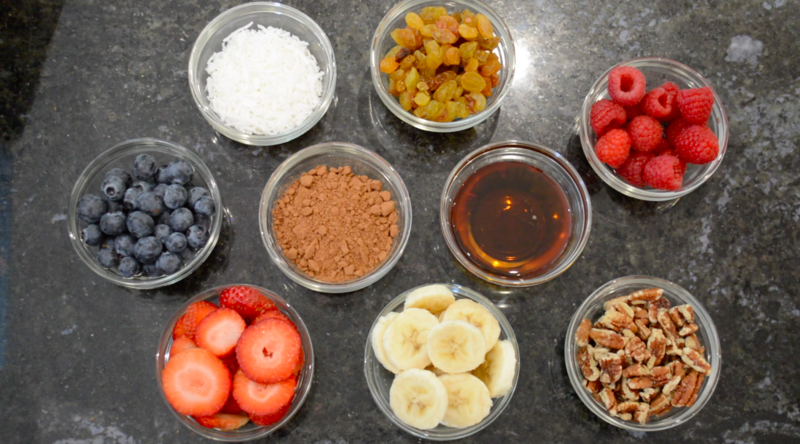 Add sliced banana and/or your toppings of choice. Eat immediately or let sit for a few moments to allow the oats to moisten. *I often use Rip Essylstein’s method of slicing bananas for cereal. He quarters the banana lengthwise and then makes horizontal slices. This creates lots of small pieces and ensures banana bites in each mouthful. Use any toppings you like such as fresh or frozen berries, diced apple, raisins, flaked coconut, nuts, cocoa powder and maple syrup.